Welcome to the third edition of this thing, arrival is a few weeks late and hopefully that doesn’t become the norm. Brisbane doom band Indica have been in tracking a rather lengthy double LP which was a fairly fast session considering the chunk of music being tracked. We hired a 70’s ludwig drum set that was a solid beast. A 24×20 bass drum, a 16×16 rack tom and an 18×18 floor! Slow enough music that the room mics were able to be dug into quite critically. Their guitarist Jayesh had a Green amplifier and speaker cabinet and Jesse on second guitar utilised a Sunn Model T with an older Marshall cabinet. For bass we were running an Acoustic 220 into the 8×10 here. Quite a large sound in the end but remarkably dynamic, depth was the central focus rather than volume. Redland Bay 3 piece Tracks have just wrapped up a full length, this session required the use of 20-30 guitar pedals so that was a great deal of fun. Local band Cold Fish also tracked a 7″ which should be out soon. It marked the first time an EV tl606 with an original speaker had made its way into underground. The guitarist also used an earlier EGC back when Kevin Burkett was making the first generation of pickups, there is a notable difference. This band features members of Sewers and Hexmere. Lying Down have also just wrapped up an LP here. It was an interesting session that was all done live in a day and mixed purely on the board. All hands on faders, no compression and very little EQ. Ben and Veronica at Bees Neez Microphones have been amazing in securing us their version of the U47 fet, the Tribute 3. Our version has the M7 capsule and will surely be a workhorse for this facility. French company Brenette have certain sought after microphones from the 30’s and 40’s and we have acquired a figure 8 dynamic basket housed model that is an absolutely incredible sounding microphone. It gets used frequently on bass cabinets. We have also acquired a Beyerdynamic M380 with all original parts. The M380 is quite possibly the closest you can come to an actual bass drum sound without any EQ. The strangely conceived idea of a figure 8 dynamic with an extreme bass proximity boost has created a cultish following over the years. A fourth microphone addition is another beyerdynamic, a vintage m88. This hypercardiod dynamic microphone is a great all-rounder with a pronounced proximity boost and a very high SPL capability. They are regularly used infront of a bass drum, bass amplifier or vocalist but many engineers get great results on snare drum, toms and other percussive instruments, horns, glockenspiel et al. Soviet X-Ray is the brainchild of Steven Appleton who is based in Ipswich. The tracks were recorded at his house over a large period of time by himself, but he was in need of someone to make some executive decisions on the balance of everything. There was some additional effects being instigated here, such as the yamaha E1010 (an old analog delay that is very idiosyncratic). 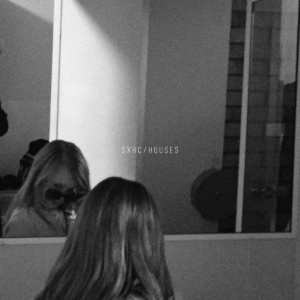 Their record ‘Houses’ can be purchased here. Info about their next show can be found here. 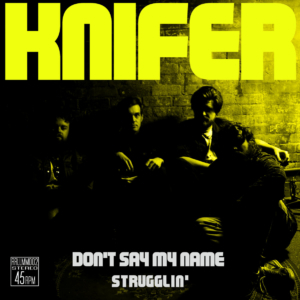 Knifers new 7″ has dropped and it turned out great. We tracked this in a day and mixed the next, a cowbell got used too! For drums we used a metro copper kit which was naturally quite accentuated in the upper midrange especially with coated heads, not unlike a thicker birch sound or even a fibreglass shell. It truly is a drum set that is unique and while not really suited to fast playing it did suit their drummer Will quite nicely on this recording. We used limited bandwidth dynamic microphones on most of the drums to underscore these factors. On guitars it was surprising to see a 57 actually sound good.. it was a unidyne though so that may not count. It can be heard here and purchased here. 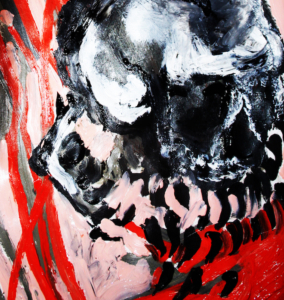 3rd LP from Idylls has now dropped, it is called ‘The Barn’ and has been put out by Blackwire Records and Holy Roar. We tracked this to 2 inch RMGi900 tape over the course of a weekend. On bass drum was a beyerdynamic m380, snare was an M201, toms were heil PR30’s, boundary/ambient microphones were earthworks TC30K’s. The bass amplifier used was an acoustic 150 or 200 and had an M380 infront of it running into a dbx160A. The guitar was split into a sound city 120 and a verellen loucks with beyerdynamic M160’s infront of them. 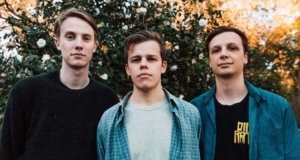 Brisbane band Columbus have tracked a new single from their upcoming acoustic record here with Sydney based engineer Fletcher Matthews on the board. You can see how it turned out below! 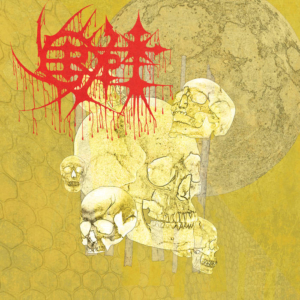 Having reigned from Brisbane throughout the entire decade of the 90s as one of Australia’s premiere and pioneering death metal acts, 2016 saw CRYPT re-enter the live circuit off the back of an epic three disc box set that encapsulated all that came before – the Excruciating Agony demo, Crypt EP, and El-Nino album. This is their first new material in 16 years, we are proud to have housed their mania. 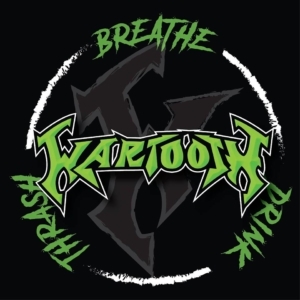 Wartooth are a Brisbane based band that have crafted a unique, melodic yet fierce style of thrash metal. They have taken influence from older bands such as the Big 4, Overkill, Testament and Exodus. Wartooth pine for a rawer and rougher production style in comparison to their contemporaries and this is what sets them apart. They dropped into Underground to track a 2 song EP and film a video. Engineer Liam Kriz was at the helm for the guitar and elec. bass tracking. You can view their single video here, which was also shot at Underground!